Shuttles operate between the hours of 7:30 am - 4:00 pm each day. 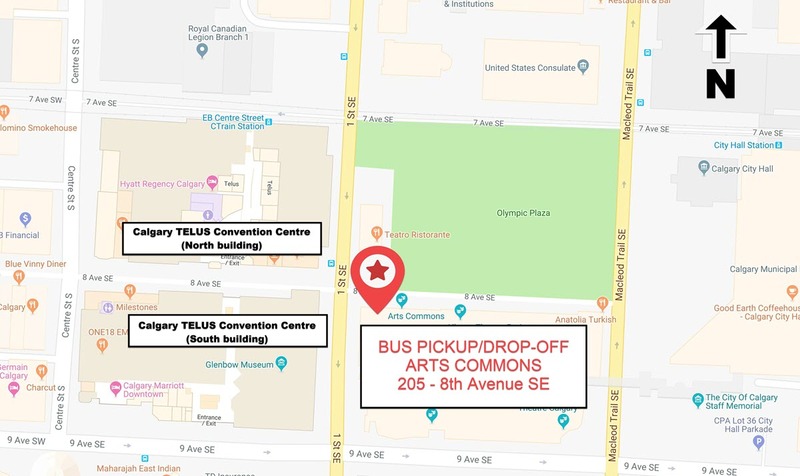 Delegates are able to park at Calgary Zoo ($12 per day) and take a bus to downtown bus hub located at ARTS COMMONS Jack Singer Performance Hall located at 205 8th Avenue SE. Parking at Calgary Zoo is $12 per day. Shuttles start at 7:30 am and end at 4:30 pm each day. 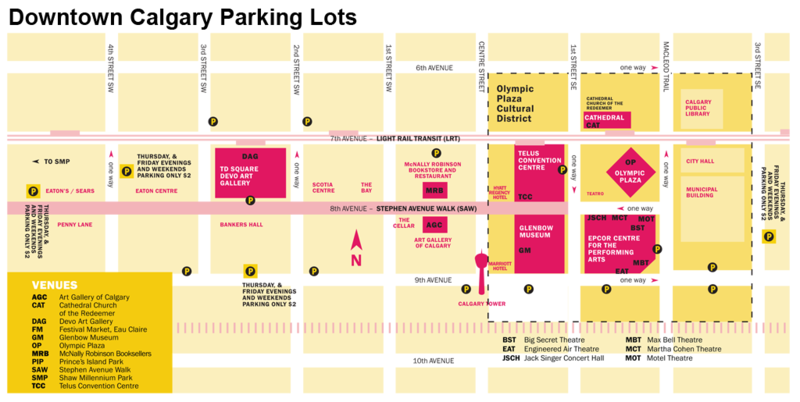 Delegates are able to park at Winsport WEST Overflow Lot (FREE Parking) and take a bus to downtown bus hub located at ARTS COMMONS Jack Singer Performance Hall located at 205 8th Avenue SE. Parking at Winsport is FREE. Shuttles start at 7:30 am and end at 4:30 pm each day. Calgary Zoo: Drop off and pick up at lower parking lot. Parking available $12.00 per day. Buses will transport to Arts Commons, Jack Singer bus stop and connect to all other bus locations. The bus starts at Calgary Zoo and Arts Commons Jack Singer location at 7:30 am, ends 4:30 pm. Approx. 30 min wait time. Calgary Stampede Foundation, TransAlta Performing Arts Centre: Drop off and pick up at front entrance. Buses will transport to Arts Commons, Jack Singer bus stop and connect to all other bus locations. The bus starts at Arts Commons, Jack Singer location at 7:30 am, ends 4:00 pm. Approx. 60 min wait time. Crescent Heights High School: Drop off and pick up at the front entrance of school. Buses will transport to Arts Commons Jack Singer bus stop and connect to all other bus locations. Bus starts at Arts Commons Jack Singer location at 7:30 am ends at 4:00 pm. Approx 30 min wait time. St Mary’s High School: Drop off and pick up at front entrance of school. Buses will transport to Arts Commons Jack Singer bus stop and connect to all other bus locations. Bus starts at St Mary’s High School and Arts Commons Jack Singer location at 7:30 am, ends 4:00 pm. Approx 20 min wait time. NOTE TO READERS: There is limited parking at St Mary’s High School and even less parking in surrounding areas due to new construction. Please use internal bus transport. Telus Spark: Drop off and pick up at front entrance of Telus Spark. 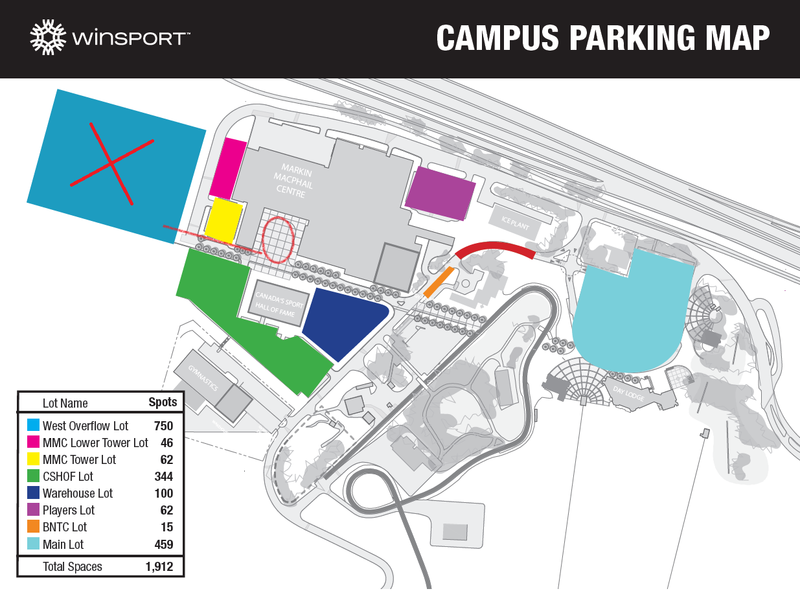 Limited parking available at Telus Spark $10.00 per day. Buses will transport to Arts Commons Jack Singer bus stop and connect to all other bus locations. Bus starts at Arts Commons Jack Singer location at 7:30 am, ends at 4:00 pm. Approx. 60 min wait time. Winsport: Pick up at West Overflow Parking Lot. FREE parking available. Buses will transport to Arts Commons, Jack Singer bus stop and connect to all other bus locations. Bus starts at Winsport and Arts Commons Jack Singer location at 7:30 am ends 4:30 pm. Approx. 30 min wait time.